Bonnie and Eugene (Gene) L’Etoile began farming part time in 1977 on 11 acres of rented land that nobody else wanted. 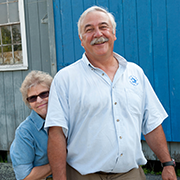 Over the next few years their acreage increased to 85 acres, but their farming remained part time as Gene worked full time as an engineer in advanced underwater combat systems and Bonnie taught at the University of Rhode Island. In 1986, Bonnie and Gene decided to continue generations of farming (from Bonnie’s side of the family) and go into agriculture full time. They bought a former dairy farm in Northfield, MA and started the current location of Four Star Farms, Inc. They continue the work they started in 1986 and are always eager to try something new. Together, Bonnie and Gene have raised two sons on the farm, Jacob and Nathan, both of whom live on the farm with their respective families and are actively involved in different aspects of agriculture. 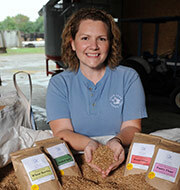 Elizabeth (Liz) L’Etoile married into the L’Etoile family and is our Director of Sales and Marketing. Using her social work background Liz strives to create strong and long lasting relationships with our customers; expand our sales potential across various industries; and educate consumers on the benefits of buying food locally. Jacob L’Etoile is the eldest son of Bonnie and Gene. 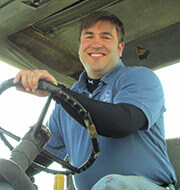 Manager of our grains operation, Jacob also helps with turf harvesting, mowing, and field prep/ maintenance. 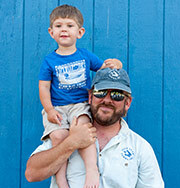 Jacob has been working on the farm, along-side his parents, since he was a small child. As a father himself, Jacob and his wife Robin look forward to raising their children on the farm in the agricultural tradition. Nathan L’Etoile is Bonnie and Gene’s youngest son. After working in the nonprofit and government sectors of agriculture (serving as an advocate and as the Assistant Commissioner of Agriculture for the Commonwealth of Massachusetts) Nathan has recently returned to work at the farm full-time. With a broad understanding of farming and Ag policy, Nathan works to help maintain and improve the farm’s sustainability. Nate and his wife Liz live at the heart of the farm and have enjoyed making it a home.